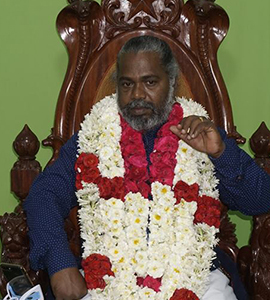 Enlightened master Sivayogi is the Founder of Yogakudil – Puthagaram Chennai, Tamilnadu, the place for someone who really seeking god and spiritual experiences. The real yoga class in Chennai. 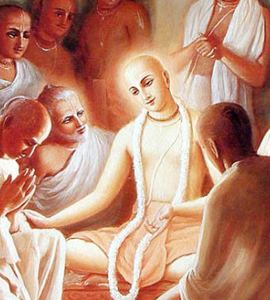 2.UPADESHAM (Preaching) and spiritual practice. 4. Counselling on Relationship, Health and Physiological advices. At preset Sathsang directly conducted by Master Sivayogi on every Sunday between 6 PM to 9PM IST , Entry for sathsang is free and open for everyone who seeking for truth. Program also live in YouTube and facebook page , Disciples from various part of world will participate in live sathsang. Disciples are allowed to ask any questions to Master and Sathsang always starts with Question & Answer discussion, followed by mediation and a Philosophical song. After a tea break Guru Sivayogi will give a lecture on particular topic. This help the deciples who practice the art of spiritual and self knowing yoga. It also helps in coming out of religious differences, knowing the truth,finding the answers for spiritual questions. Everyone can participate in Sathsang without any difference and can develop oneself. This is beyond religion,community,race,and economic status. Those who can understand Tamil can participate. To those who come to Sathsang continuous for 12 Weeks , Upadesham - spiritual guidance provided by Master Sivayogi at free of cost. “Linga Upadesham” is something which is similar to the shape of germination of a seed that is inside us. By embracing it with our thought, we can postpone death. To explain this only we have been told about The Markandeyan Story. “Brahmopadesham” ,even today is asked to listen to in the rampart (wall) of Thiruchendur Temple. This is fictional story of Murugan preaching Shiva . It is necessary to keep secrets as secrets. After experiencing its complete benefits you can reveal it on your choice. By knowing the preaching and exercising regularly, the opening of third eye will happen within forty days. After that according to your inner abilities, suppression of five senses and resonance will be yours. Body-mind health will grow, peace and joy will be present always. Those who are interested to get Upadesham and spiritual exercises can fix an appointment and come. For those who get it at free of cost ,they will be informed in Sathsang and will be taught. This one day course is being taught for Rs.5000. Lunch , morning tea and evening tea will be provided. The aim of the course is to answer various questions like “Who am I? , How should have the earth be formed? What is God? How to live?” etc.., to get peace and joy with deep understanding. Currently it is conducted only in Chennai. Participants should come at 7:50 am. If possible it is good to reserve the seat earlier. It paves the way for getting rid of confusion and unnecessary sorrow and to get FREEDOM and lead a joyful life. People who are interested can come. Those who need advices on situation of your family, Bodily illness , Stress , Yearning to talk with free mind ,can come in weekdays between 6 pm to 8 pm . Counseling is absolute free as of now and this will be directly from Master Sivayogi. 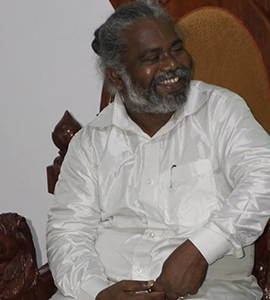 Enlightened Guru Sivayogi Aiya waiting for you, expecting nothing but Trust from you. I summon those who are in need ,to utilize him . Truth is always truth.